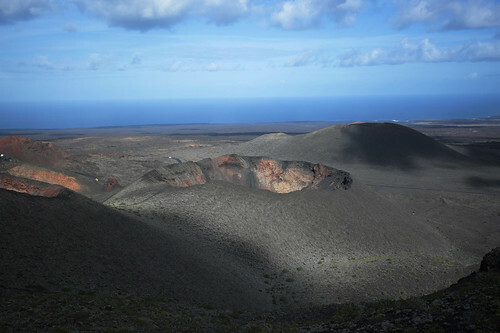 The Timanfaya National Park, located in the south-western area of Lanzarote, covers an area of about 51 km². 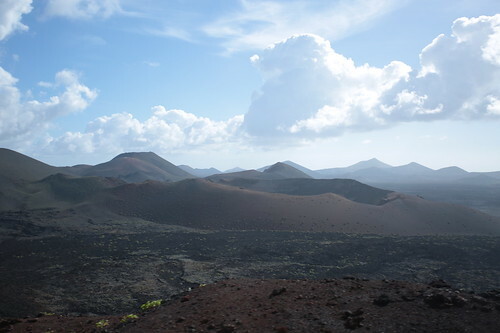 The area was “born” because of the volcanic eruption that lasted from 1730 to 1736: first, there were villages and vegetation, now there are volcanoes and an infinite expanse of lava. I advise you to base your visit according to the weather you will find waking up. During my week I had to make two attempts because the first day I tried was a rainy one. – How to get there: there is no public transport with which to get to the park, so the feasible solution is to have a car to go there. Keep in mind that it is necessary to arrive very early because the parking lot is tiny, and there are so many visitors. Later you come, the longer you will have to do outside the park waiting to enter: at about 11:30 in the morning, while we were going out, there were at least 4 kilometres of cars queueing! – Ticket price: € 9. With the car, you get a sort of toll-booth where you have to pay the entrance ticket (they will also give you information to get to the parking lot). Visiting the park on your own, whether on foot or by car is not possible, as we are talking about a UNESCO biosphere reserve (since 1993). but the bus stops for passengers to enjoy the scenery as they listen to explanations. 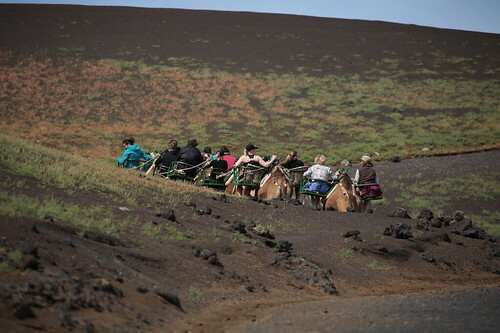 – The second way to visit a small part of the park is the camel ride: the tours start from a different point than the one by coach and, of course, between the two places I suggest you move by car (there are in both cases the spaces to park cars). Personally, I did not have the strength to do this tour: I looked at the camels that moved complaining, slow and listless, and they made me feel sorry. which starts and ends always at the parking lot, you can see a quick demonstration of how high the temperature is underground: the straw is put into the ground, and the result will be a fire coming out after less than two minutes of waiting. 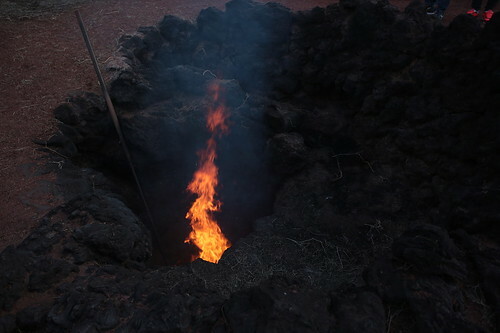 A second demonstration of the heat in the subsoil of the park is a Geyser: little water is first poured, which releases steam, then a more significant quantity is drained, thus giving life to a “small geyser”. 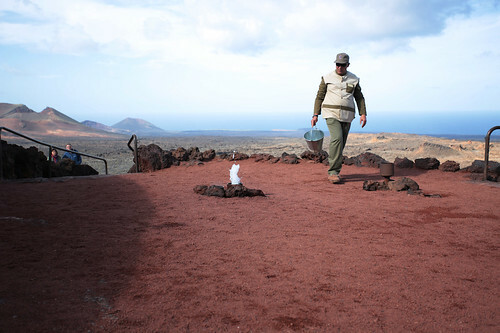 The symbol of the park is a statuette of a little devil, nicknamed “El Diablo”, which was created by César Manrique. I’ll tell you something more about the park through the video I shot during my visit: the audio is in Italian, but I hope that even the images can give an idea of how beautiful this place is.